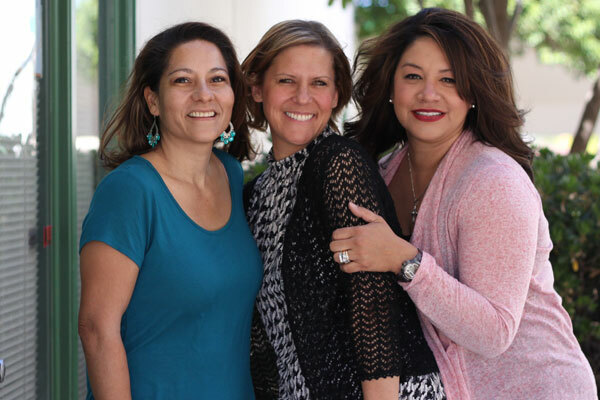 The purpose of the Women’s Ministry at Corazón is to meet women at their point of spiritual need. It is our desire to introduce the Gospel to Hispanic/Latino women from diverse backgrounds and stages of life. Women experience the Bible and the Body of Christ through home Bible studies, culturally sensitive events and connections through personal relationships. The Women of Heart program hopes to engage, encourage, and equip women so they are able to grow to spiritual maturity. Bible studies are held in homes around Tucson and are lead by Corazón Ministries Team Members. We offer three different types of Bible studies for women: Evangelistic Home Bible studies, Discipleship studies, and Leadership studies. Although couples may participate in Bible studies together, women most often study separately from men. All of these studies are offered in English and Spanish at various times. Once a month, women gather at a local cafe to share a potluck dinner, make friendships with one another and listen to a teaching from the Word of God. Each season there is a specific theme with a guiding scripture verse. During the summer months, we transition from the Women of Heart Outreaches into our Summer in the Son Bible Study Series. the close of the Women of Heart monthly outreach season. At the retreat, women participate in times of praise and worship and hear a teaching from the Word of God by a guest speaker. The women also share a beautiful continental breakfast and lunch and many go home with fun raffle prizes! Each retreat has a Biblical theme which relates to the lives of women. “The highlight of my experience today was seeing God work and feeling His presence with all the women at my table. Based on the Titus 2* model of discipleship, mature believers are matched with women who are seeking a deeper relationship with God. These meetings are centered around scriptures that challenge and encourage women to apply Biblical principles to their daily walk. Meetings are determined between the women and their personal schedules.